Yuichi Watanabe is being charged as a low-level war criminal for his duties at Fukuoka Prison towards the end of the Second World War, and the bulk of The Investigation concerns his story of the people inside the prison walls and the events that took place there. The story proper begins with the young conscript guard being assigned to a special investigation. His duty partner, Dozan Sugiyama, has been found brutally murdered, hanging from a rail with his lips stitched together, and it’s Watanabe’s job to find out who ended Sugiyama’s life. The older guard was known for his sadistic nature, and there is no shortage of suspects for the crime, particularly among the Korean prisoners in Ward Three. The intelligent Watanabe soon uncovers suspicious activities at the prison, his investigation focusing on a known Korean troublemaker. However, something keeps him digging deeper, and an introduction to an unusual prisoner sheds new light on both the murder and Sugiyama. Could it be that the heartless survivor of the Manchurian conflict possessed an artistic soul? 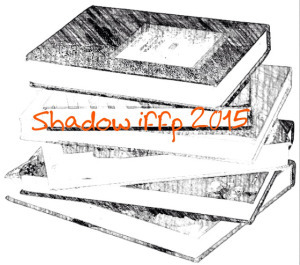 The Investigation is an interesting choice for the IFFP as the novel is part literary fiction and part thriller. 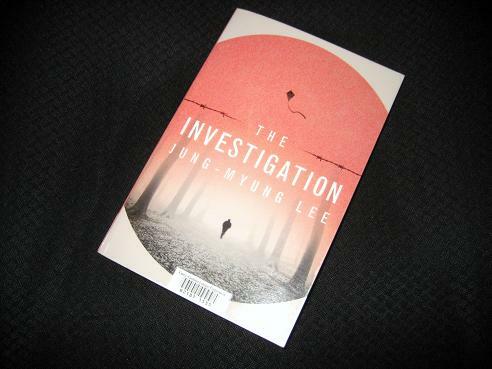 While there is a focus on who did it (and why), the crime is more an opportunity for the writer to examine the theme of Koreans in Japan during the war and the importance of language and literature. The more Watanabe gets to know the poet, the more fascinated he is by his work, and his determination to clear up the puzzle stems just as much from his desire to protect the poet as from his sense of duty. He has an innate need for words and books, and his poetry has a startling effect on Sugiyama, causing the guard to neglect his duties. Just like Sugiyama before him, he too begins to keep secrets from his superiors. Of course, what he doesn’t realise is that they’re keeping secrets from him too. Yun is a real-life figure, a famous poet in Korea and the whole reason for the book, and the sections involving him are excellent. However, as a whole, the book isn’t that great. The events around this centre are a little contrived, easy to guess and often fairly weak. In many ways, this would have been a much better read if the writer had avoided the thriller aspects and simply related the story of two (or three) men in an unhappy time. For me, there was enough to that story to warrant a novel without needing to throw in the thriller aspects. No, I don’t think so. In parts, it’s an intriguing story, particularly when the two guards start to become involved with the poet. However, the plot seems a little superfluous at times, and several of the twists are fairly obvious. In addition, the prose was fairly pedestrian for the most part, a major drawback in a tale about a poet. This is a bit of a mish-mash of styles, and while it’s enjoyable at times, I don’t think it’ll go any further. Sorry to hear you weren’t quite enamoured with this book. I really loved this one – perhaps because I enjoy thriller elements more than you do! While there may not have been many surprises there (although it is not quite know what happened to the real poet in prison), the additional crime elements helped to structure the work and show the pointlessness of violence very effectively. There were some beautiful moments described here: the kite flying contest, the preparations for singing the controversial Verdi chorus, the Japanese guard’s earlier life in the bookshop. And the poetry itself. Although I have no idea how well all of this was translated, of course. Marina Sofia – Hmm, sorry, not for me 😉 The crime elements were simply props for what the writer really wanted to say – including all those beautiful elements you described. This could have been an excellent book about the ambiguous relationship between a Japanese guard and a Korean prisoner with no need for a murder ‘mystery’. However, for a book about a poet and the wonders of language, the prose was pretty flat in places (when I saw that it was translated by the person behind ‘Please Look after Mother’, I was pretty deflated anyway, not the reaction they were going for, I suspect!). I have nearly finished this one. While I enjoyed it a bit more than you overall, I agree that it’s unlikely to make the shortlist.I think there are other books on the longlist which are more original and surprising than The Investigation. Max – Well, I can’t like everything I read although I do seem to find a higher ratio of dross to gold than usual at IFFP time (which is strange when you consider that these are supposed to be the pick of the year’s offerings…).